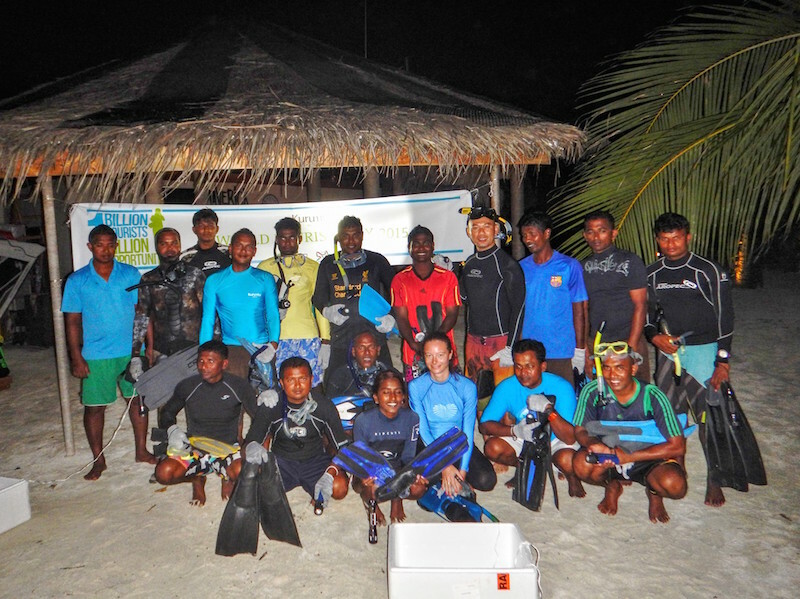 Kurumba Maldives team joined for the celebration of the World Tourism Day 2015. The purpose of it is to foster awareness among the international community of the importance of tourism and its social, cultural, political and economic value. 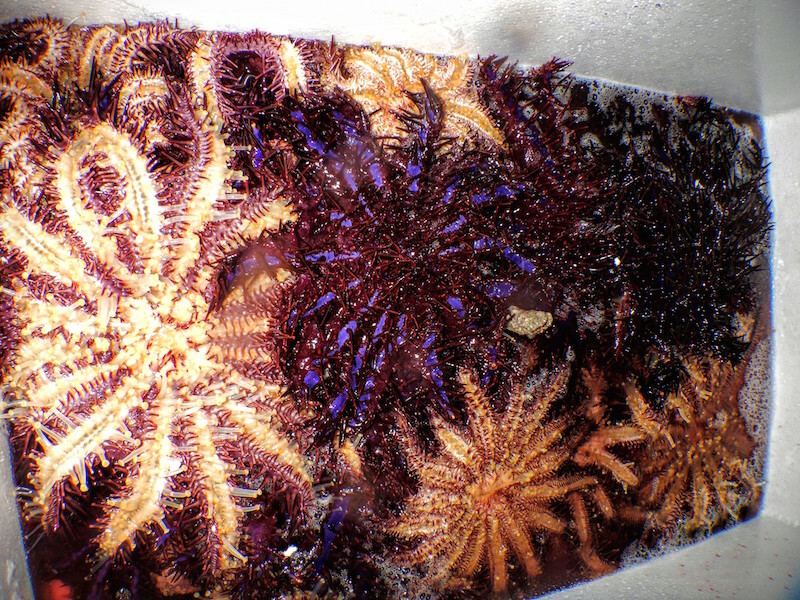 The main tasks on the agenda were environmental activities such as Reef and lsland Clean Up along with crown-of-thorns starfish removal, who are known as a notorious predator of reef building corals. Kurumba Maldives also volunteered to participate in the energy conservation hour to maximize saving energy by using minimum lights, air conditions and equipment. Most of air conditioning units and lighting were turned off in staff areas, as well as exterior signage lighting in public areas, restaurants and bars was temporarily replaced for the candlelight. In-house guests have been invited to participate and do the same in their rooms and villas. Maumoon Mustafa, Operations Manager of Kurumba Maldives stated: “The theme for WTD2015 is “One Billion Tourists, One Billion Opportunities”. 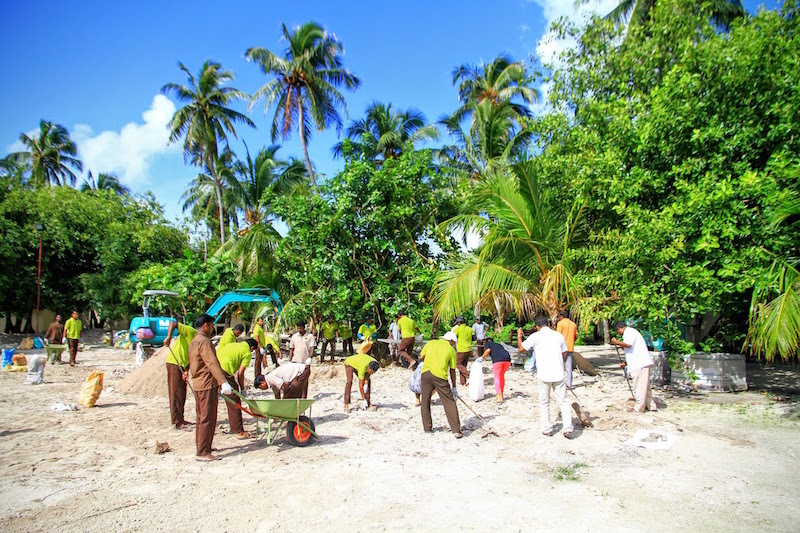 Everyday we witness how the tourism sector in the Maldives benefits local communities and has the power to drive development, create jobs and build the sustainable society. It is important to take a leadership role and ensure to invest maximum efforts in environmental protection and SCR programmes to create a better world for all”.